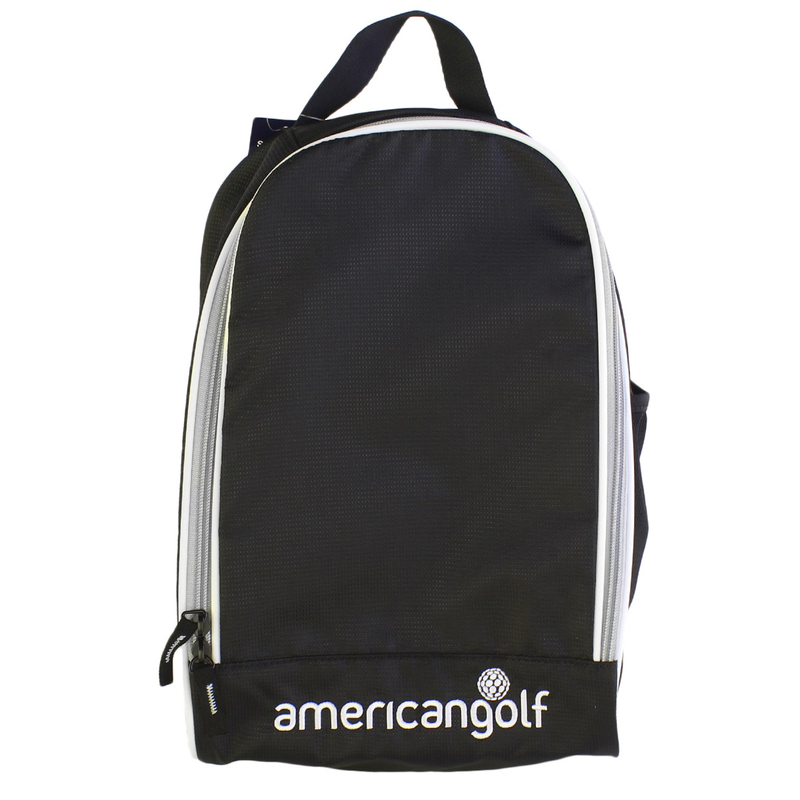 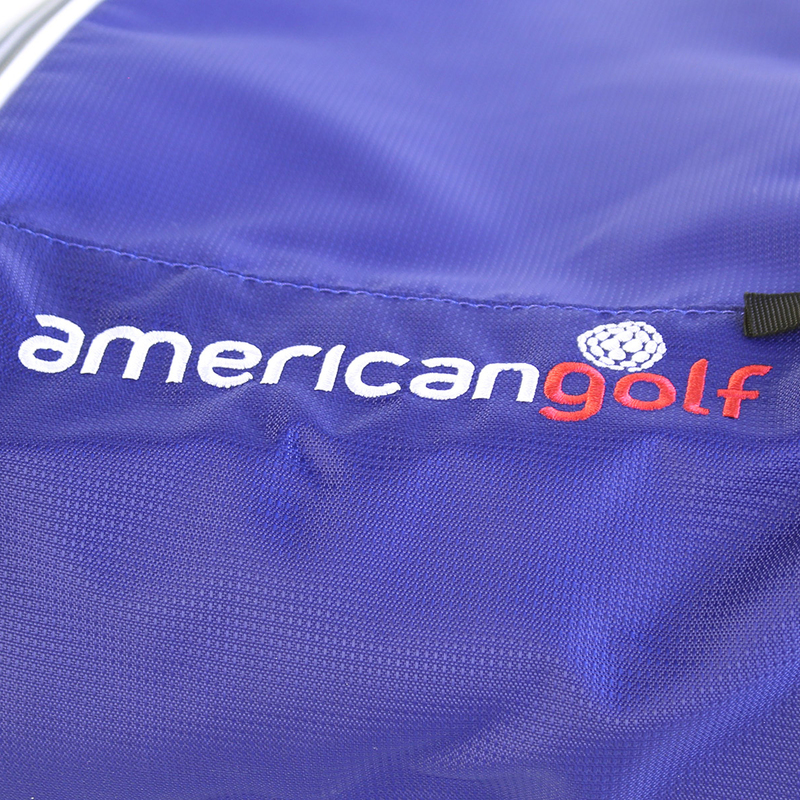 This essential bag from American Golf offers optimum shoe protection. 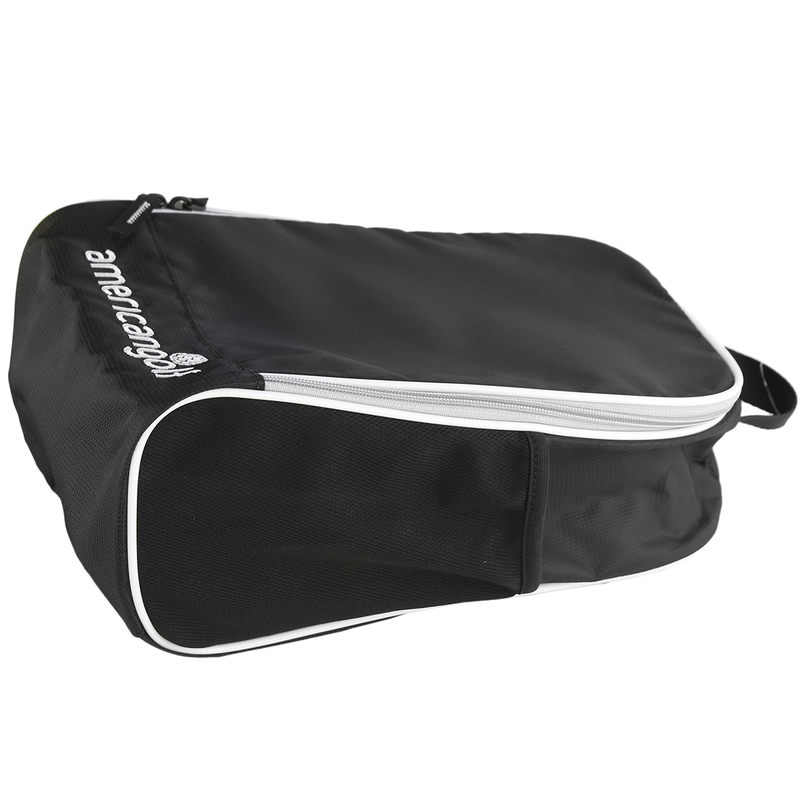 The design features dual zips for easy access, and has a large main compartment which provides optimum storage for your shoes. 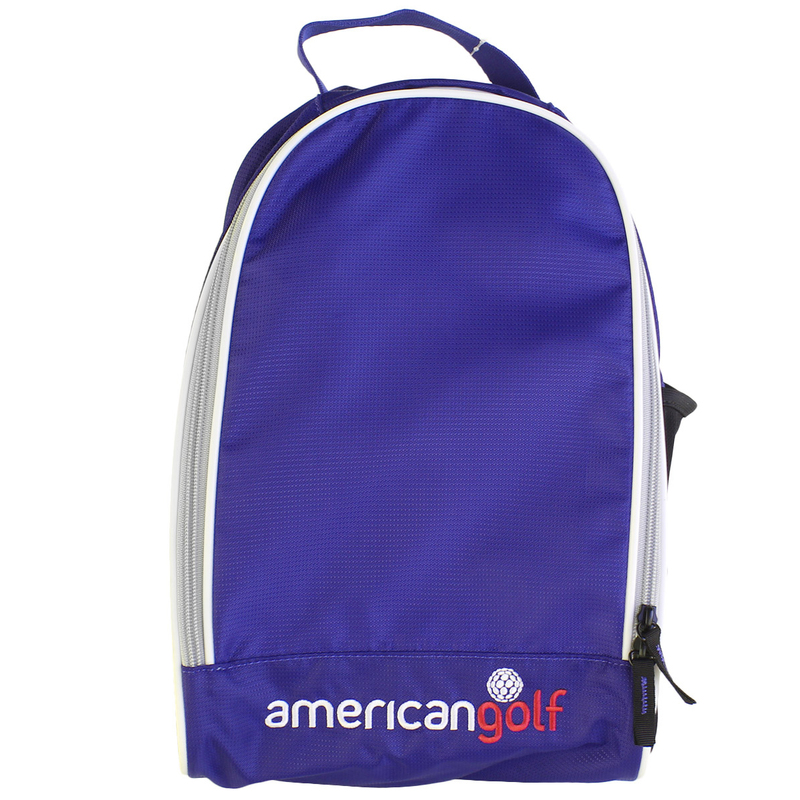 Constructed with a highly durable dobby nylon material, with robust lift assist handle on the top for easy transportation. 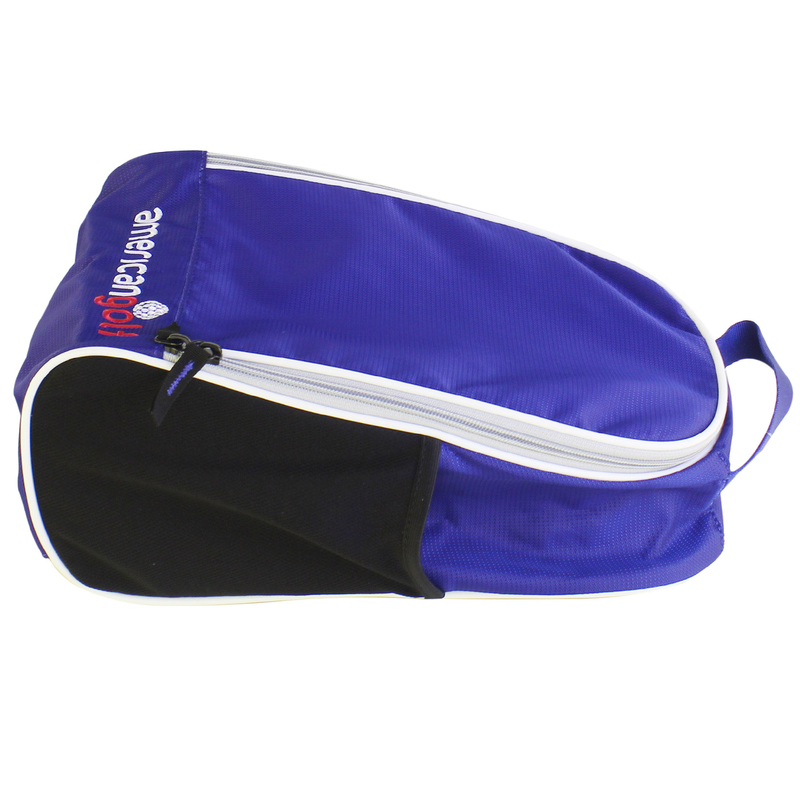 Other features include breathable side vents to provide increased airflow, this prevent the build up of unwanted odour and to keep you shoes moisture free. 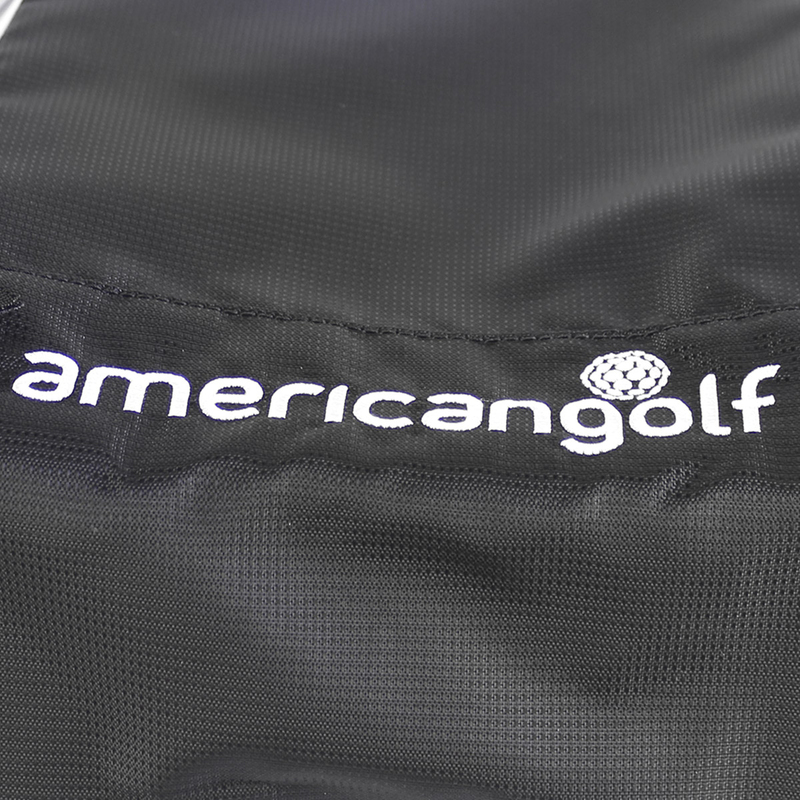 Finer details include American Golf brand logo embroidery, and contrast colour piping around the edges.